Basically, Google Discover is the transformation of Google Feed. It is the company’s own take on social media feeds to encourage brands to focus on content quality in generating audience engagement. To help your audience be updated on stories that matter most, you need to be optimized for Google Discover. How? One of the most important things to understand with the feature is that it is based off the browser history of the user. It is a combination of machine learning and indicated interests. However, instead of waiting for the user to make a search, Google Discover provides users information before the search is started. This is an attempt to make searching seamless, which by current indications seems to be working as shown by the more than 800 million users. As a step up, Google Discover has been redone with a new look to give emphasis on visual content. More evergreen content will also be featured based on user search history and experience. More control has also been added with the Discover homepage accessible from all google.com mobile browsers. With the major shift on how search engines will be used, topic relevance becomes highly important. What does this mean for businesses? They have to shift their SEO campaigns to keep their brands competitive. Keyword optimization is no longer the focus of the game. The great thing though is that not all the rules have changed. How do you optimize for Google Discover? Quality Content – emphasis should be on the creation of high quality content, which answers the needs of readers. This is crucial if you want to be discovered. The principle of using what you and your friends found important in the past will be one of the basis. Engaging Content – quality is obviously not enough. You need to make sure that you will encourage engagement from your target audience. The main difference with this feature is that it relies only on the content that you have engaged with most. Images and Videos –images and visual content will form a huge part of the feeds. Not only should your images be relevant, but, it must be high quality as well. The same goes with every video material that you will put out. New and Evergreen Content – this is a must for every business that wants to make a mark in Discover. Use a mixture of contents that is both fresh and newsworthy. Make room for both so that you can ensure that all of your materials remain evergreen. Trustworthy – content is king, but only if it has integrity. You cannot sacrifice the trustworthiness of your source simply because you want to make it to the feed. There is an entirely new demand for high quality and trustworthy information. In this context, site authority is vital. Languages – not only will you be dealing with multi-platform, but, you must be consciously aware that Discover is available in multiple languages. Now you have a bigger picture of the components involved in Google Discover. So how do you put it all together to be prepared to optimize for it? Think of Discover as a platform to show contents that you interact with most of the time. So to be able to optimize, all you have to do is to make sure that those in your target market remain engaged in your contents. Promotions, more promotions, and even more promotions. Although Google Discover seems to have changed some of the rules, most of the Search Engine Results Page ranking and optimization techniques will still reap dividends for you. To recap, three things to always emphasize on; Quality, Engagement, and Promotion. Every SEO expert and webmaster understands the importance of Google updates. This is because the algorithm is responsible for changing the filters, data refreshes, and other alterations that can cause websites to drop in SEO visibility or ranking. How does Google core algorithm affect your websites? Google update is the term used for describing the changes that affect how rankings are calculated by the search engine. Updates can be minor or major depending on its impact to the users. The goal is to improve both the relevance and quality of the results returned from user searches. This is done by focusing on specific features like the ability to counteract spam or identify duplicate contents. Majority of the updates are manually initiated while others form part of the core algorithm of the search engine. The Google core update is part of the search engine itself and is now continuously and automatically rolled out. There are roughly 600 updates to the algorithm every year with majority of these being done unnoticed by the user. Most of the time these are unannounced as well even in the search engine industry. The most significant by far does not include new features to the core algorithm but only updates the data it uses. Careful calculation is done with every update to the core algorithm to come up with the best ranking possible for search results. Each update tackles specific issues that are related to the way search results are handled. The Panda update on February 2011 for example was designed to focus on low quality content in websites. The goal is to improve the quality of the search results by the ability to distinguish between what is low quality websites and what is not. Since January 2016, Google began ranking low quality websites as part of its core algorithm. The huge change in the rankings seen by specialists were linked to the minor updates done on the core algorithm. Based on a small independent survey conducted by Barry Schwartz who covers SEO space, the most dramatically affected websites are those related to health. Here are some tips on how to handle drops in rankings and traffic caused by the Google core algorithm update. This is characterized by a huge drop in rankings that usually happens overnight. Penalty drops often demote you 10 to 20 positions. You must realize that algorithmic penalties automatically happen and commonly occurs with rolled out updates. Check the Webmaster Tools account to get a clearer picture and better understanding of the rank drop. There should be some type of notifications in the Site Messages to alert you of GoogleBot detected issues. Most of the time you can prevent penalty rank drops by continuously tracking links and use special tools that alert you of changes in your link profile. If a competitor outranks you, there will only be a slight drop in your rankings. You can even see which competitor has outranked you because other websites will be in the same position as they were before. You need to constantly monitor and analyze all competitor sites including social profiles to be updated on what they are doing. When you continuously track main competitors, it will be easier to understand link building strategies they employ giving you a heads up on their next possible moves. Adapt your own strategies accordingly. Drops in rankings and traffic can also be caused by on-page issues. The result is either a noticeable drop in the rankings or there is no growth of your site. This is despite your efforts to consistently create content and build your links. The Google Webmaster Tools (GWT) can give you some insights to understand the cause of the problem. HTML Improvements can help in detecting problems associated with tags. The PageSpeed Insights also delivers valuable data on potential problems with your site and suggests way to fix them. Prevent this type of issues by extensively using GWT to keep track of your site. Make use of the notifications as well to be updated on everything that is happening with your website. Now you have a better understanding of how Google core algorithm updates can affect your websites. In today’s business scene, it is no longer true that only big businesses can make it. How can small businesses level the playing field or even dominate it? The answer lies in Search Engine Optimization (SEO). By using the proper techniques, small businesses have the ability to dominate local search and turn it into gold. Knowing what to do is as valuable as knowing what not to do. So to make the most of your SEO efforts, make sure that you stay away from these common mistakes. Truth is that SEO should be considered across the board regardless whether you are redesigning or relaunching a website. This emphasizes the importance of having an experienced SEO professional on board from the onset. It is a common mistake to think that SEO cannot be used as a reliable long-term business strategy. The reality is that it helps to improve traffic, rankings, and conversions, provided that you are in tune with the rules of search engines. This is where SEO expertise and management becomes valuable. 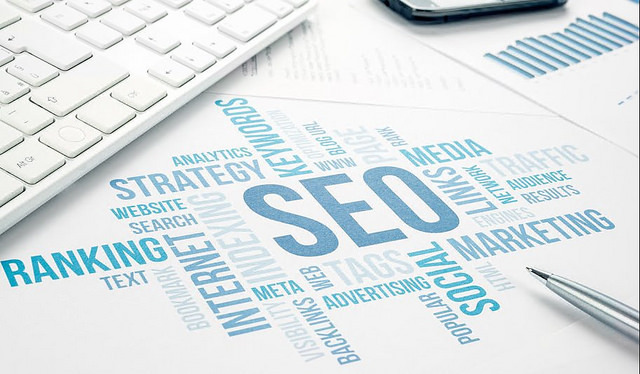 For small businesses to dominate, it needs high level SEO experts because of the amount of information to track as well as the variables to consider. Web developers have a different specialization and do not have the necessary tools, skills, and experience to maximize SEO benefits. Remember the saying that when something is too good to be true, it probably is? Well, that applies to SEO as well. Avoid buying SEO offerings that make incredible promises. To make sure that SEO activities are working, you need detailed tracking procedures. Just because tracked conversions, organic traffic, and website visibility is increasing does not mean SEO is working. To run a successful SEO campaign, small businesses should be aware of its relationship with content marketing. Why? Because any SEO without content marketing can be like a body without a soul; meaning there is no substance. Success is ensured when both come together with a singular purpose. How can small businesses make it work the right way? Here are some things to consider. Relevant keywords and putting them into action in the content will create higher search engine result ranking. The keywords must be used appropriately and strategically to achieve a balance of SEO and content. 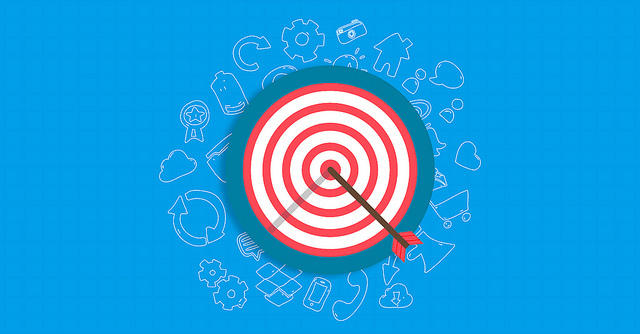 Using analysis tools to seek out the most popular keywords for your target market and embedding them will result in higher ranking and a boost in traffic. Distribute the keywords reasonably in the title and body section. What do we mean by quality? This means creative, unique, fresh, and consistent. You cannot have one quality content followed by a dozen useless ones. Keep in mind that content will convert people into clients primarily because it helps to solve specific issues they have. Quality content also refers to the influence that it can exert on the targeted visitors. This is extremely important in determining page relevance. Some think that the whole SEO experience centers on articles, keywords, backlinks, and blogs. On the contrary, it also has to do with enhancing metadata, appropriate use of tags, and optimization of robots.txt. It is the technical optimization of the website that makes it appealing not only to search engines, but also to visitors. URL optimization and making the slug is equally important to ensure that all the pages remain relevant and properly categorized. With a properly plotted sitemap, users should have no problem going through your website. The surest way to build traffic for your website would be to make use of inbound linking. This is a major factor in many successful SEO campaigns. By connecting with high-domain authority sites, the increase in traffic will be unbelievably drastic. How do you develop the links? The best way is to have expert content, get a link back, and boost traffic. How do you make SEO work right for small businesses? By ensuring that appropriate SEO is paired with the right content marketing. Then you can watch your business go through the roof.